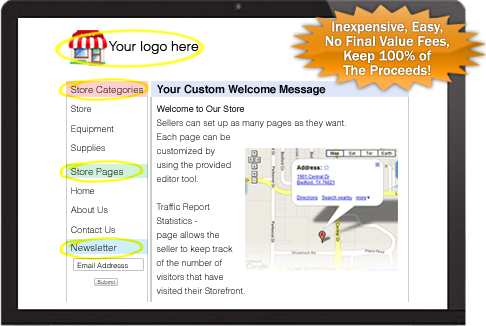 Create your own category structure in your Storefront. Give your listings a boost with a professional presentation. Improve your company website search rankings by creating high value inbound links. Plus, our search engine friendly URL technology will help improve your ad page indexing for better search engine position.